Mimurotoji Temple, which was built in 770 in Uji, Kyoto, has a wonderful hydrangea garden, so it is also called “Hydrangea Temple” (Japanese: Ajisai-dera). 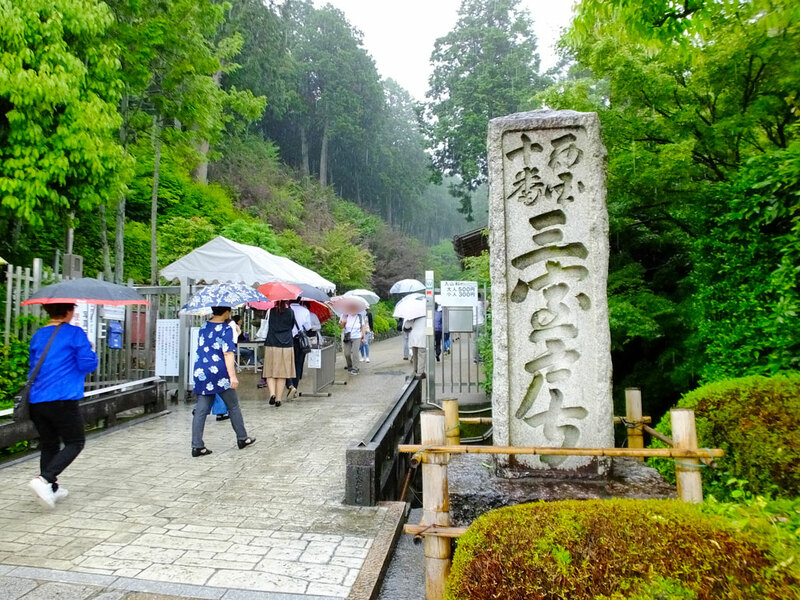 It is one of the most popular spots to see hydrangeas in Kyoto. 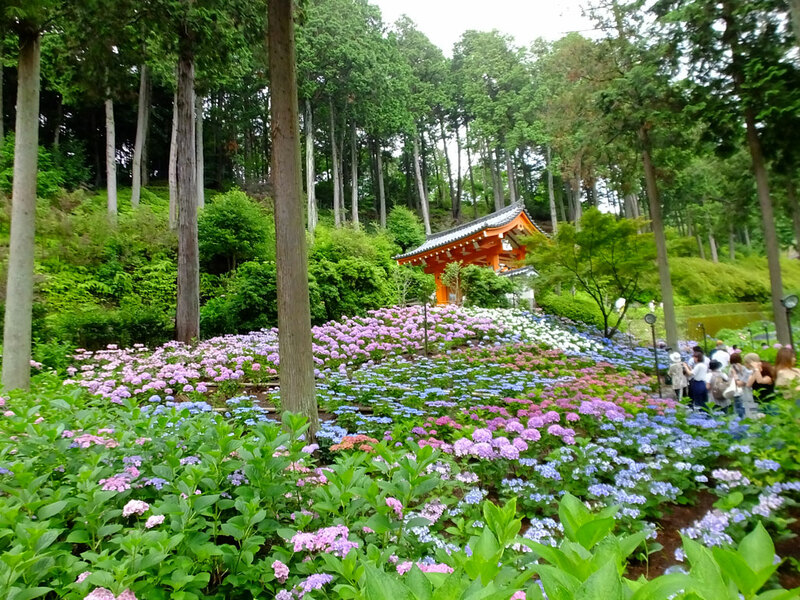 The blooming season is from the middle of June to the middle of July, and the hydrangeas were illuminated on Saturdays and Sundays from June 10 to 25 (in 2017). 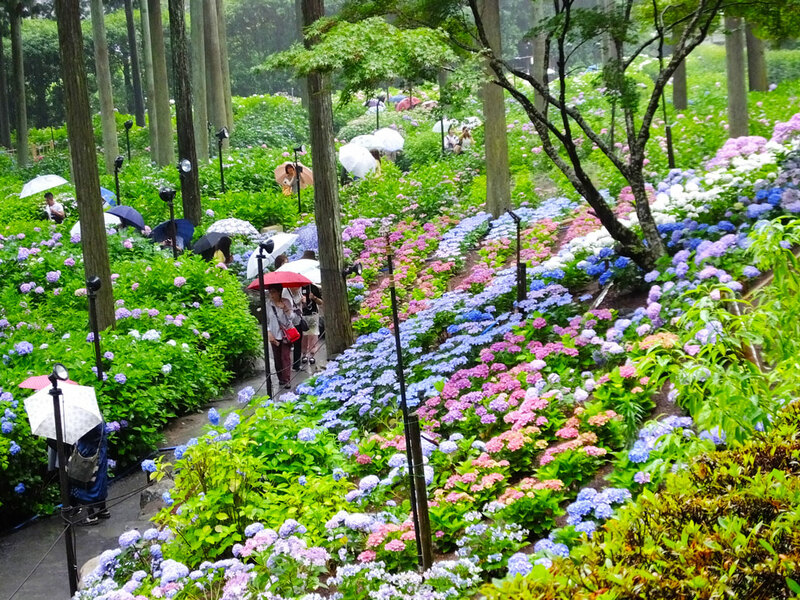 The hydrangea garden is more than 16 thousand square meters large, and there you can see 10 thousand hydrangeas. 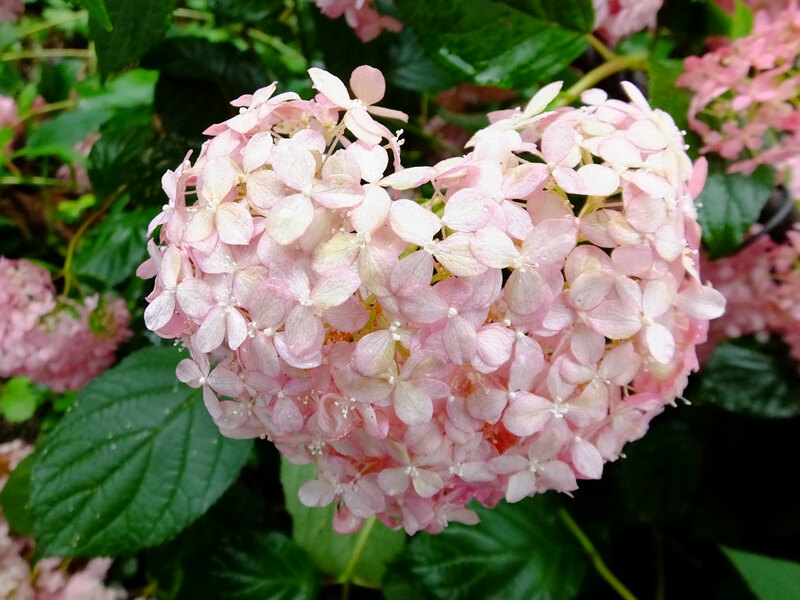 There are 50 species of hydrangeas, which never make you bored, and moreover, it is fun for girls and women to look for heart-shaped hydrangeas. 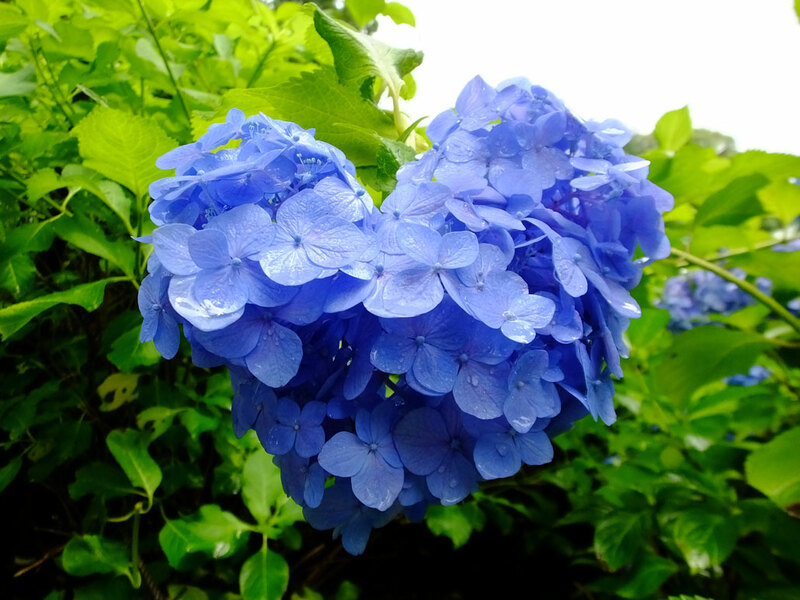 It is said that if you find a heart-shaped hydrangea, you will find good fortune in love. In front of the main hall (hondo) of the temple, where 250 pots of lotus are put here and there, you can have a good time, too. Surrounded by the flowers, you can sit down and relax at the rest place, take pictures of the flowers, buy a small gift and so on. There are about 100 species of lotus in the temple. 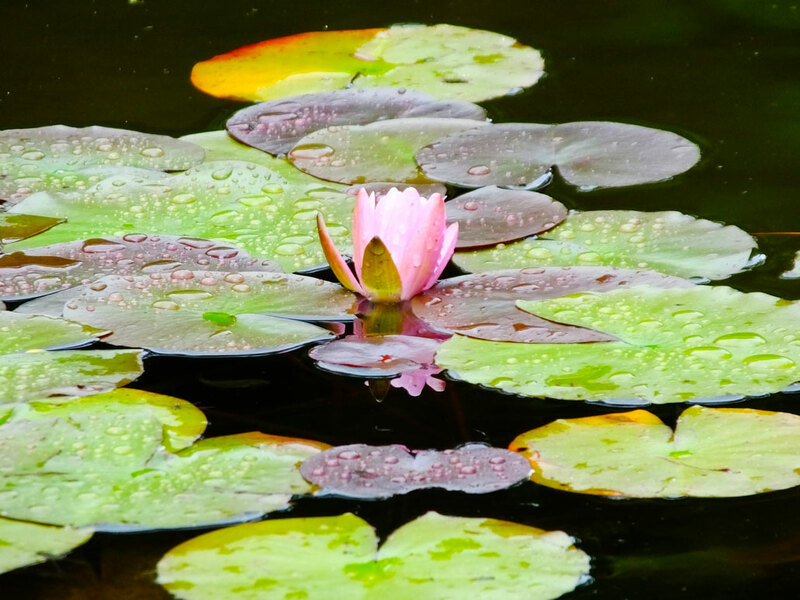 (You can see lotus flowers in the pond near the hydrangea garden, too.) 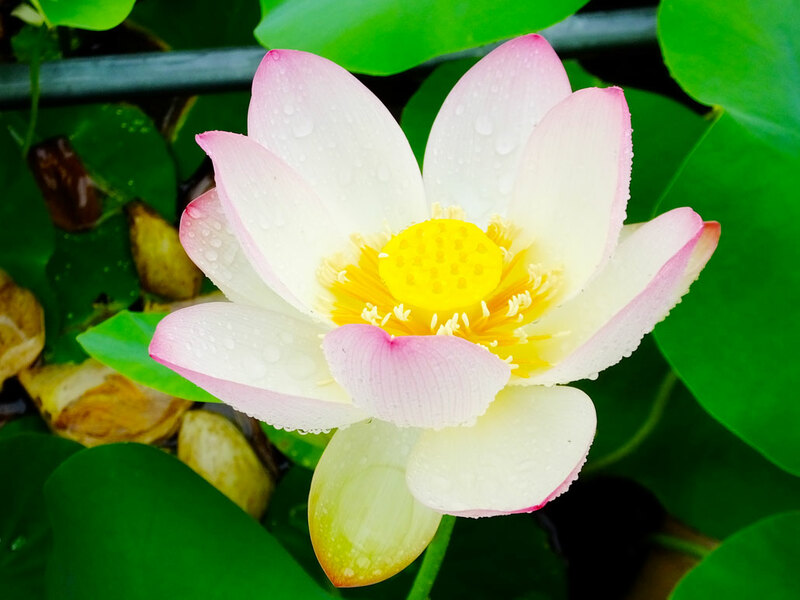 From late June to early August, you can see lotus flowers in bloom. 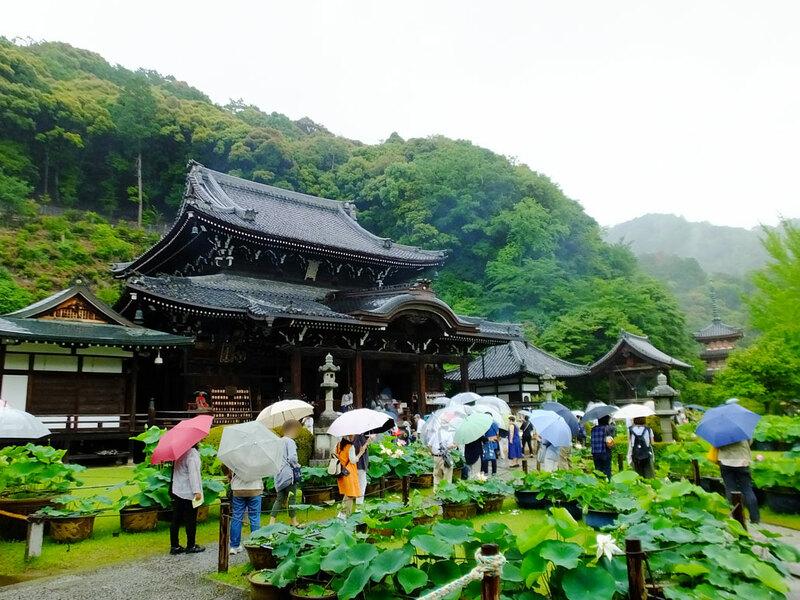 From late June to early July is the best season to visit this temple because you can see beautiful hydrangeas and lotus flowers at the same time. The hondo was built in the Edo Period (1603-1868). When I went there it was raining, but the atmosphere was tasteful thanks to the hondo. The hydrangea season is the rainy season in Japan. 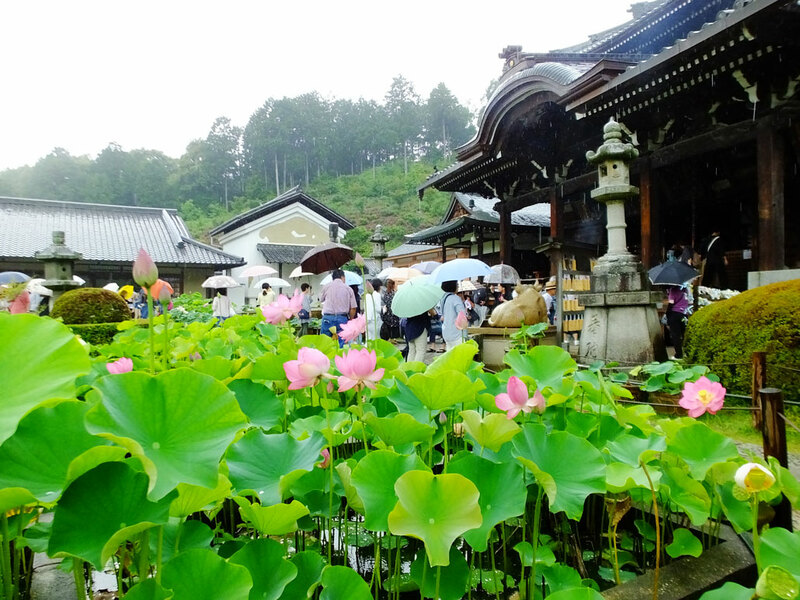 If you are lucky, you can see beautiful hydrangeas and lotus flowers after the rain. Near the hondo, they have various hydrangea items. They are colorful and really pretty. There is a deity figure, too. He has a face of an old man and body of a snake. 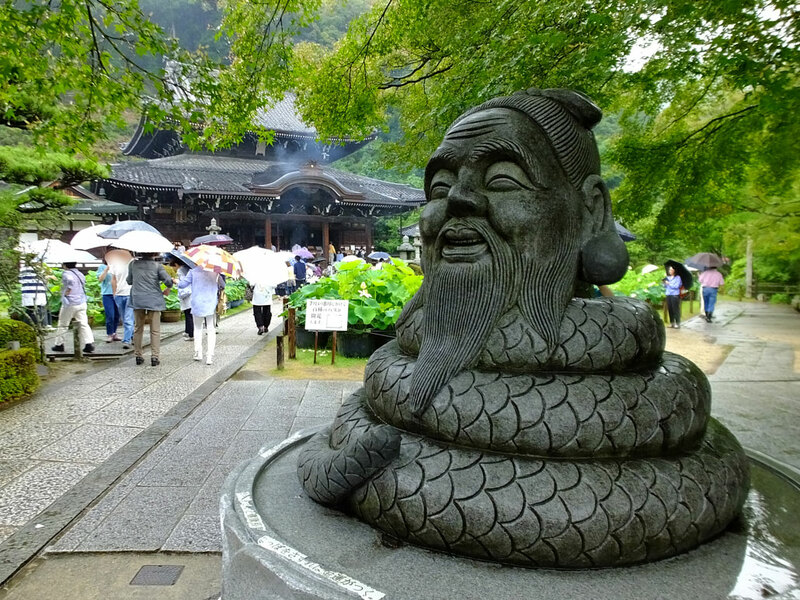 It is said that if you rub the figure, you will be lucky in money. 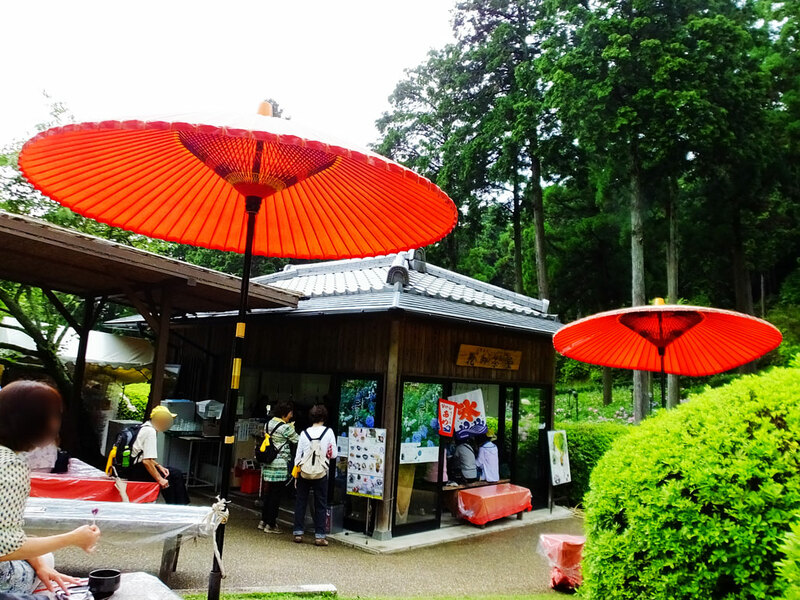 In the hydrangea garden, there is a Japanese sweet cafe. 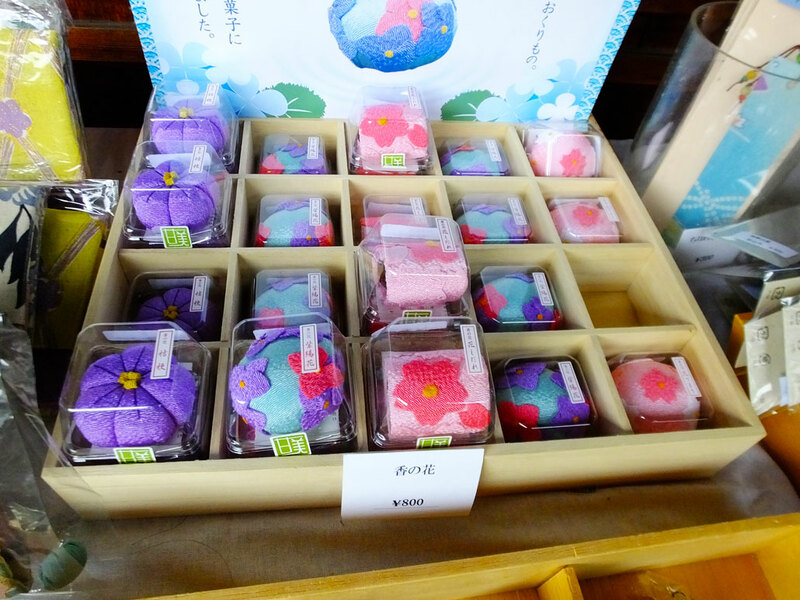 You can have some sweets, seeing hydrangea flowers. 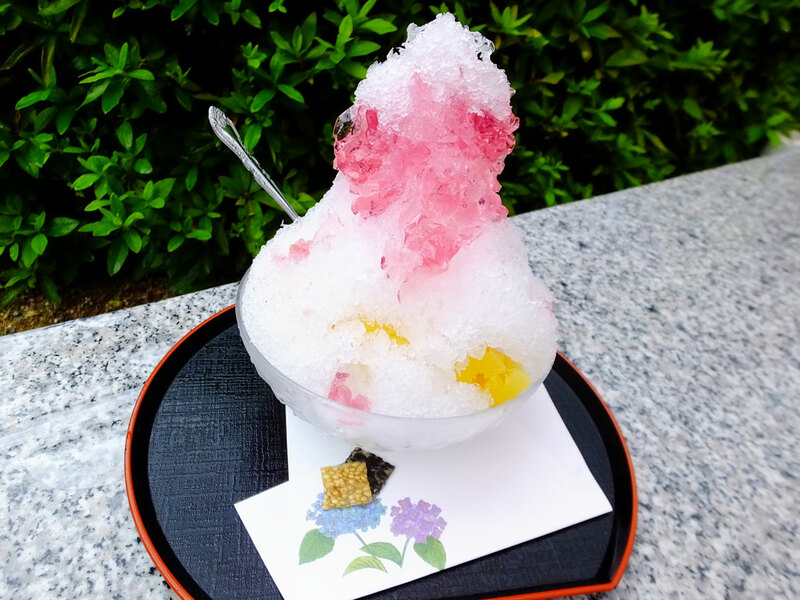 I ate shaved ice named Hydrangea Shaved Ice (Japanese: Ajisai-gori). It was really good with a lot of fruit and jelly.